In Washington, D.C.'s public schools, African-American students are almost six times as likely to be suspended or expelled as their white classmates. Students with disabilities are also disciplined at higher rates than their peers. Students participating in a program with the nonprofit group Critical Exposurecontend that disciplinary practices in the District's public schools contribute to the school-to-prison pipeline, which pushes minority and vulnerable students out of school and into the penal system. Scroll down to see the students' photos. Malik Thompson, 19, was involved with Critical Exposure throughout his high school career. He has experienced firsthand the impact of "school pushout." Following his older brother's death several years ago, when Thompson was in the ninth grade, he says he stopped going to his citywide, application-only high school. After several months of truancy, and what he describes as “minimal efforts” from school administrators to draw him back in, Thompson says he received a letter from the school informing him that he was no longer enrolled. Restorative justice, he said, "creates [a culture] where the entire student –- like what happened outside the school and during school -- is acknowledged and taken into account." Thompson continued, “I think more programs like Critical Exposure should exist where young people have avenues to begin to experience their own power, to work collaboratively together with adult supporters in order to make change in their world." "Critical Exposure was essential to me becoming the person I am today," he added. Click the article's link to see student photos. When most D.C. teens take photos—likely with their smartphones—images tend to go only as far as their social media networks. However, youth who participate in programming run by non-profit Critical Exposure learn documentary photography and have taken their photos as far as the D.C. Council. Since 2004, Critical Exposure has partnered with D.C. public high schools and after-school programs to engage kids whose voices often go unheard. At the end of the program, CE says, participants become fully engaged civic leaders. “We teach them how to use photography to document particular issues that impact them and then teach them how to use those photographs to advocate to get the problems fixed,” says Adam Levner, executive director of Critical Exposure. Students at Eastern Senior High School, H.D. Woodson Senior High School and Luke C. Moore High School have identified and campaigned around issues such as racism in the classroom, declining graduation rates and a lack of arts education and extracurricular opportunities. 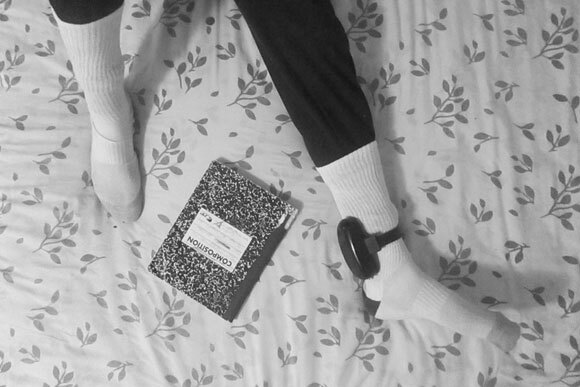 The students photograph themselves, their peers and friends, and their surroundings. They learn how to write captions that contextualize the perspectives of youth who yearn for justice and change. Through the power of images, students have secured over $500 million toward making crucial improvements to their schools, such as building a new library, adding relevant curriculum, improving security processes and building community gardens. Most recently, says Levner, students have rallied to tackle the school-to-prison pipeline, a national trend where students' petty transgressions that would once have led to a warning or detention now lead to long-term suspension or police enforcement. “Having the students arrested at the school often leads young people into the juvenile justice system, which can lead to the adult justice system, and that creates a pipeline where students are pushed out of school and into the criminal justice system,” he explains. In 2013, participants in Critical Exposure’s fellowship program, housed at the Thurgood Marshall Center in northwest D.C. pushed to implement Restorative Justice programming into all D.C. public schools. This model of discipline has been successful in gathering victims, offenders and community members in safe environments to address the root causes that lead to disruptive acts. 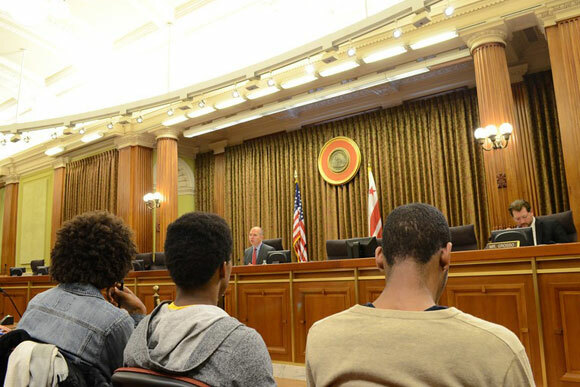 The teenaged fellows attended workshops and meetings, met with city officials and the chancellor and testified at D.C. Council hearings—experiences they never dreamed of having. The fellows’ efforts secured funding from the city council to implement a pilot program at the Francis L. Cardozo Education Campus during the 2014 school year. 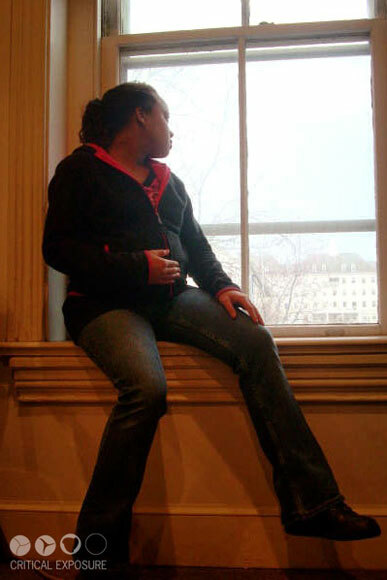 Teen pregnancy prevention has also been an issue of high concern for participants. In 2013, a partnership between the D.C. Promise Neighborhood Initiative and the DC Campaign to Prevent Teen Pregnancy allowed youth from the Kenilworth and Parkside neighborhoods of northeast D.C. to create public service announcements and other educational collateral around the issue. The program culminated in a multimedia exhibit at Busboys & Poets with Ward 7 Councilmember Yvette Alexander in attendance. “There’s definitely a lot of excitement when students walk into an art gallery [for] the first time and see their work on the walls and see people from the community not just seeing their work, but really looking at it, reading their captions and trying to understand the stories behind it,” says Levner. A number of students who leave Critical Exposure go on to pursue photography and remain civically engaged in their communities, creating lasting impact. This article has been updated to reflect the correct spelling of Adam Levner's name. Elevation DC regrets the error.